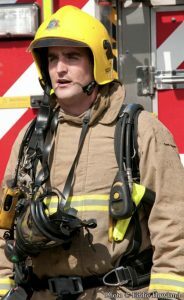 Paul Weller, a retired firefighter for West Sussex has a range of activities planned to support the Charity that aided his recovery from an ankle replacement. 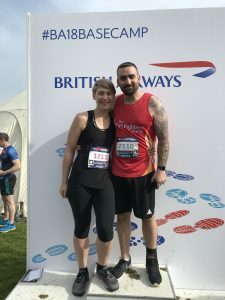 Paul Weller, 32, has used the Charity’s physical and psychological services during the last six years and wants to show his gratitude for the help he received by taking part in the year-long fundraising challenge. 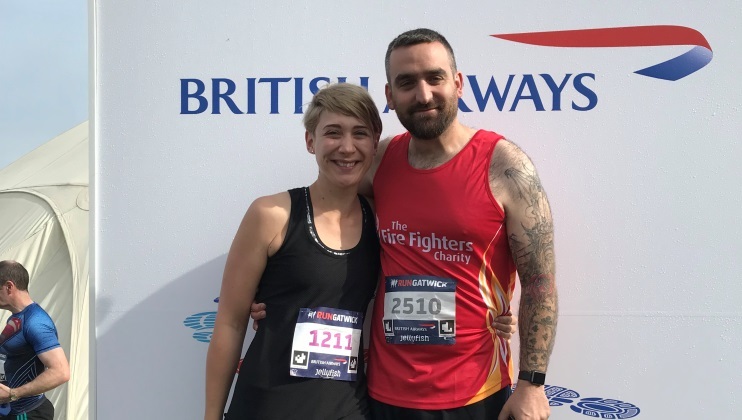 “I have just completed my first half marathon in the British Airways Run Gatwick as part of #My75Miles. It was my first ever half marathon and the longest distance I have run since my injury in 2012. To complete it in 2:34 was a very proud moment for me although it was incredibly hard work. “I have a 7k obstacle mud run planned for June and a 5k fun run in July planned so far. My girlfriend, Roxie Carpenter and I are also in the process of arranging a bike ride across West Sussex visiting all the fire stations in the county along the way. I would like to finish with a 5k run in full fire kit and BA set. “I’m taking part in the #My75Miles challenge because I want to give something back to the Charity as they’ve helped me out so much in the last six years. 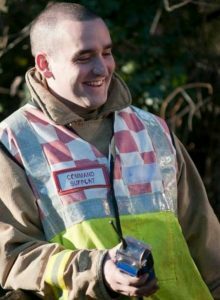 Paul, a Terminal Manager at Gatwick Airport, first accessed the Charity’s services in 2012 after he broke his left ankle and leg in multiple places and ruptured his Achilles tendon whilst playing football. He has since received 11 operations and now has a full replacement ankle. “I originally spent six weeks at Jubilee House, this was before the full replacement. The staff were brilliant. I wasn’t seeing much improvement in the movement of my ankle and it was a very difficult time for me. I was expecting my first child and still wasn’t sure if I would be able to return to active duty. “I returned home and then had three further operations to complete the replacement of my ankle. This put my progression back a long way and I was then lucky enough to be on the first course at Marine Court. I spent another six weeks there where I began jogging again for the first time since the accident. “During this time, I had to leave the brigade. I was again in a very sad place and the Charity helped me with counselling to get through this very difficult stage in my life. Since my injury I had seen both of my best friends pass away unexpectedly. The Charity offered me both counselling and rehabilitation at Marine Court and this has changed my life. 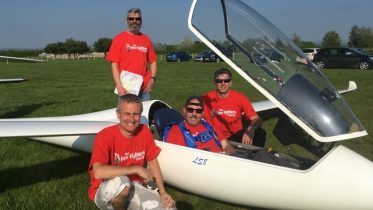 Five serving and retired members of the fire and rescue service community are taking to the skies this summer to glide their 75 miles.